I went along to TeachMeetGLA on Tuesday evening a couple of weeks ago. Arriving before the crowd I noticed the very pleasant surroundings in CitizenM and very fast WiFi. Folk and the pizza started arriving around 5 before the 5:30 kick off. It was a great TM harking back to the early days. Ian kept the event moving smoothly along. I enjoyed all the presentations and broadcast them on Radio Edutalk. Hopefully I’ll get the archive up there shortly (I went on holiday I still hope). This post will just cover what I tried to talk about in my 7 minute slot in a more coherent manner. Hopefully it also fits in with the #TeachWP course I am taking part in. Given the event was sponsored by Microsoft (good sponsor, no advertising bar a wee window badge on the TeachMeet GLA logo) and featured a few talks by Microsoft educators I though I might talk about openness. Hopefully an amusing picture of the confusion around sharing. I remember starting teaching, finding in schools shared topic boxes, filled with resources, banda worksheets and the like. What strikes me about these is 1. they point to the willingness of teachers to share and 2. Compared to digital sharing these resources were finite, bandas only printed a certain number of times, other resources (maps, pages out of magazines ect) wore out and were not duplicatable (no photo copier). A photocopier and a computer freed me from the banda’s smell and freed pupils from my handwriting and spelling. It suddenly became a lot easier to create resources. I had a short period of time where I made and sold educational shareware and learned a bit about forbidding license agreements. It also pointed out the difficulty of making money from resources I created. Before the Internet had reached classrooms, mailing every school in Scotland a folded A4 and delivering software on floppy disk, made me 100s of pounds but took 1000s of hours. During that time I was learning about online sharing through the AOL HyperCard forums and HyperCard mailing list. I’ve still not seen more generous place, a mix of professionals, amateurs and newcomers. I then got more interested in my pupils sharing their learning via blogs and podcasts, seeing the wonderfilled results. This lead me to sharing on my own blog and living, to some extent, on the Internet. We share all of the time online, status, photos, ideas, documents ect. The cost is low, no stamps, paper, printing costs. I am just rambling around sharing sharing, some ideas and reading I’ve been doing around sharing. I don’t have any conclusion other than there are a lot of things to think about to share as well as we can. If you’re using the web, make sure you save a copy of your tabs in Firefox! My presentation was not a powerpoint, but looked pretty much like one. I have no idea why the firefox tip is added as a rule, I can only thing it was due to TM starting in 2006 and FF was then the thinking teachers browser of choice. Creative Commons helps you share your knowledge and creativity with the world. As a beginning blogger I soon became aware of creative commons in relation to my blogs content, flickr photos ect. At that time I choose a Attribution CC BY NC License. I don’t think there are any rules about sharing, but a TeachMeet audience is predisposed to share, thinking around the licensing can help. Like a good little blogger I’ve been trying to apply these licenses to my blog, flickr photos etc and respect them. Like lots of teachers I have sometimes, just googled an image and copy-pasted text with abandon. Like lots of Internet citizens I sometime choose to ignore copyright of large companies to make an amusing gif. Free cultural works are the ones that can be most readily used, shared, and remixed by others, and go furthest toward creating a commons of freely reusable materials. Are free to use (for any purpose), remix & share. I am very attracted to the idea of building a culture like this in education. Free Culture Works seems to be where the CC movement is trying to get to, but the creative commons licenses allow you to move towards this in your own time and comfort zone. For example a Non commercial, CC license is not a Free Cultural Works one. Free Cultural Work can be used for any purpose. I’d argue that it is quite unlikely that many teachers will gain much from trying to make money from resources, but will get a nice warm glow from sharing freely. How far do you go, a google search for license material for example, filtered by license, is this enough? You will not respect the Attribution part of the license unless you follow the search to the source. When do you choose to go against or not look too hard for a license? How do you justify that. Everyone needs to find a comfort zone, for leading pupils by example we need to respect copyright. Like anyone interested in education and reading a wee bit on the Internet I was aware of the OER movement, it often seemed a bit dry and technical, discussing repositories and metadata in a technical way. Although the OpenScotland and OEPScotland are mainly aimed at higher education they are both, IMO, relevant to us too. The Lescester project is a wonderful example to Local Authorities . I didn’t get time to think or talk about this at all at teachmeetGLA but , if you’ve read this far, please check it out. These are some of the important things that you need to think about when sharing and choosing a license. Using the ALMS Framework as a guide, open content publishers can make technical choices that enable the greatest number of people possible to engage in the 5R activities. This is not an argument for “dumbing down” all open content to plain text. Rather it is an invitation to open content publishers to be thoughtful in the technical choices they make – whether they are publishing text, images, audio, video, simulations, or other media. The ALMS framework helps you think about what kind of files you are sharing. Are you sharing files that are editable? Are the tools to edit free? easy to use? It is well worth thinking hard about what you are sharing along with this framework. Both the 5Rs and ALMS are really useful ways to see if your sharing is as effective as it can be. I planned to finish with a few examples of less than good sharing. My first interesting experience with Creative Commons. CBS News used my image without attribution and possible in breach of my then NC license. I wrote a mail, and they attributed not sure if you can consider their use Non Commercial? Finally I changed the license on my Flickr photos to the simpler CC BY-SA. Sharing is Messy 2007: Meaningfully Editable? Garageband Plans is a blog post where I share a worksheet for making music with GarageBand. A pdf, givne the number of changes in GarageBand over the next free years not a great example of sharing. you agree not to access Content or any reason other than your personal, non-commercial use solely as intended through and permitted by the normal functionality of the Service, and solely for Streaming. “Streaming” means a contemporaneous digital transmission of the material by YouTube via the Internet to a user operated Internet enabled device in such a manner that the data is intended for real-time viewing and **not intended to be downloaded** (either permanently or temporarily), **copied, stored, or redistributed by the user**. I’ve not added license on it yet. The default for the Government is the thinking about open government license, this is compatible with the Creative Commons Attribution License 4.0. I worry a bit that the OGL is not as well understood as CC. I wonder if spelling this out would be a good way to spread the understanding of CC and sharing licenses. On the night I rather rushed though these last few slides. The main point was to try and share some information about licensing and sharing and show some of the options. I am certainly not an expert but at least the links shared here are a valuable source of information. Many teachers are constrained by their employers from sharing and I know it is not easy. I do believe that most colleagues see the value in sharing and that it is always worth thinking about. Posted in Blog Hub and tagged OER, sharing on June 15, 2015 by john. 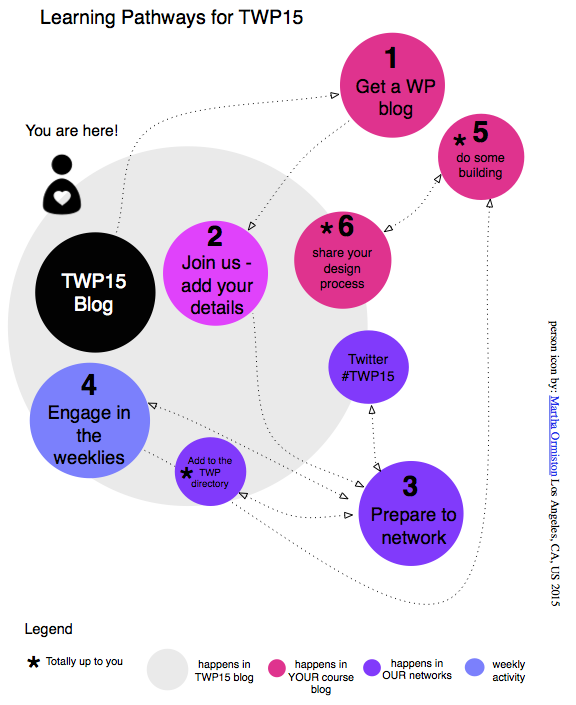 Posted in Blog Hub and tagged learning, OER, sharing, TWP15, twpweek2 on April 24, 2015 by Colin.